Nori Toy is the brain child of Josh Coldiron, a graphic designer and illustrator in Knoxville, TN. 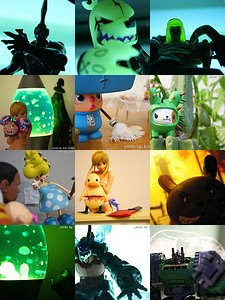 Nori Toy offers screen printing services for textile and print making as well as retailing limited edition vinyl toys, custom-toys, plus prints and shirts of our own design. Nori is a seaweed monster who fled Japan to escape evil ninja sushi chefs. Nori's adventure brought him to Knoxville, TN where he became friends with JC after Nori saved him from an evil machine. Seriously you should have seen it, it was insane. The battle was truly epic. This blog is more or less the news feed for current projects or art we are working on and any updates about the site. We will also announce any new products and have the occasional commentary or review on things around the web.